This card was inspired by a gorgeous birthday card I spotted on Pinterest. Please go check out Audrey's card on Pink Ink Originals. It is amazing. At CKC last weekend, I found a set of hexagon dies from The Stamps of Life (I belong to their monthly club so I receive a great discount on their products). The smaller dies (there are three of that size in the set which makes cutting multiples a breeze) fit the Stampin' Up! Honeycomb embossing folder perfectly. I knew I had to make a card (or several) combining these two products. I used paper from My Mind's Eye (the My Girl stack) and card stock from Recollections. For the sentiment, I used a $1 stamp from Michaels, along with white StazOn ink and a white Sakura Glaze pen (to really highlight "favorite." The enamel dots were from one of the Studio Calico kits, I can't recall which one, however I think they're My Mind's Eye as well and I found this set that coordinates with the papers I used on Amazon. I honestly wasn't too sure if I liked enamel dots, and I wasn't really in love with using them in my Project Life layout, but I just LOVE how they pop on this card! 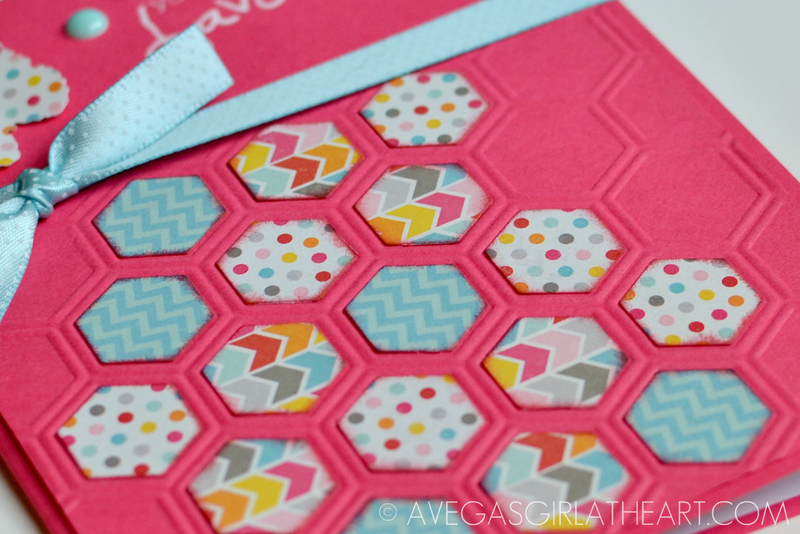 I used a Big Shot with those Stamps of Life dies to cut out little paper hexagons. I just picked three patterns, my favorites from the stack. Then I sponged the edges with Stampin' Up! ink, I think it was Primrose Petals. I seriously just love this card! The bright colors, the hexagons, I can't wait to make more! Man, I love this card. I love every little thing about it! 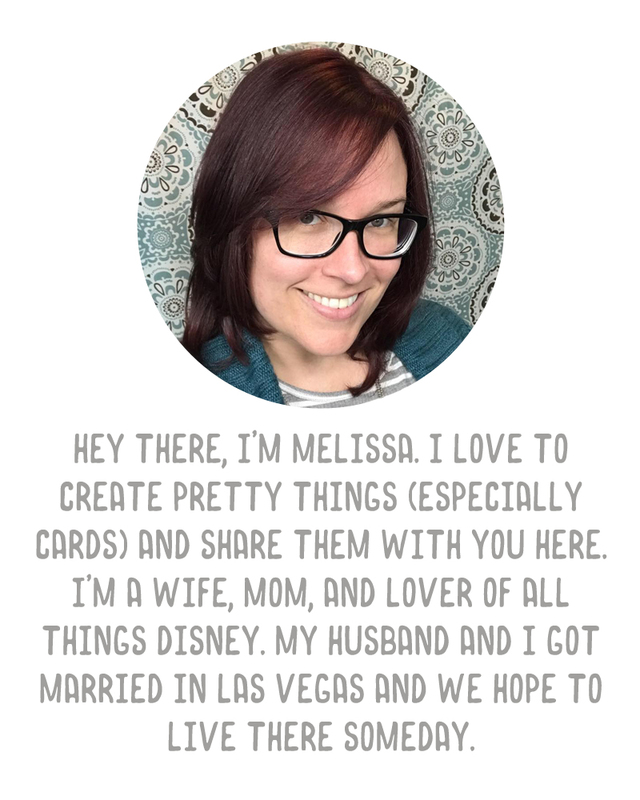 I made two cards last night, just for fun! Which, to be honest, is the first time ever I've done that! I usually have a mission, this time.. just playing! Love this card, thanks for sharing. Beautiful! I heard lately that Stampin' Up is coming out with a hexagon punch too! 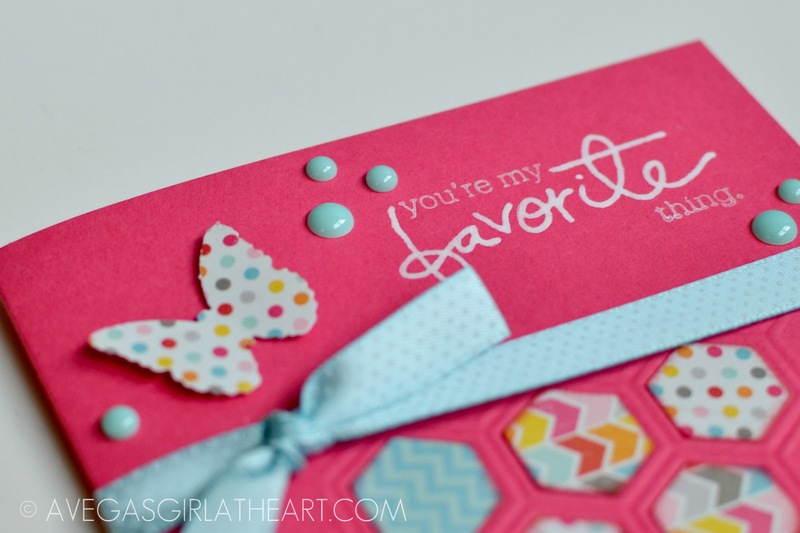 I am beyond excited - I have been wanting to use my SU honeycomb embossing folder and this is the exact project I want to do. Thanks so much for sharing! I love this card so much more that the original inspiration, and I'm not a big fan of the color pink; but your take is just precious. Thanks for sharing. Will Pin this for inspiration later. Love! Too cute... you did an amazing job.